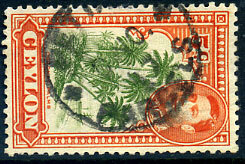 (T.15B) F/AU 12 1906 on KE7 1/- MCA wmk (SG.60a). 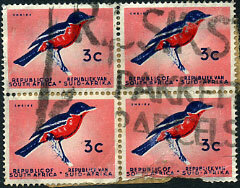 (335.44) 26 JU 44 on KG6 5/- (SG.198). 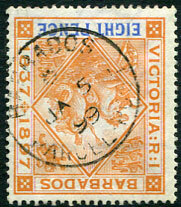 on SG.55a, 56, 57 (small thin at top) part dated -- 10 97, C/JA 6 --, C/JU 24 --. 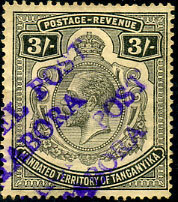 (035.44b) dated 5 FE 53 on KG6 2/- (SG.197). 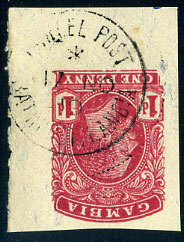 (035.44a, N midway OS of POST) JY 7 13 on KGV 6d (SG.119). 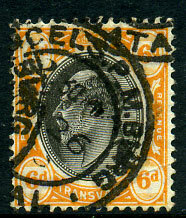 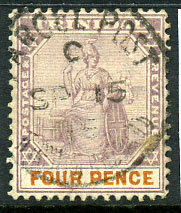 (035.44(b)) SP 25 23 on KGV 1/- (SG.124). 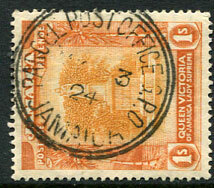 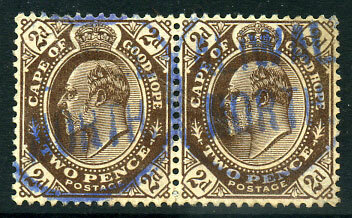 (PP2) */AU 22 21 on KGV 72c purple & orange-brown MCA wmk (SG.268, Cat.£90). 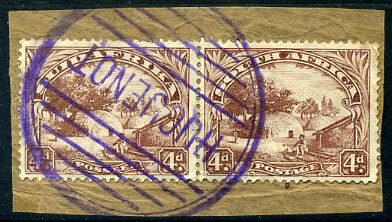 (035.42) partially dated -- AU -- on 1884-91 QV 4d brown CA wmk (SG.33). 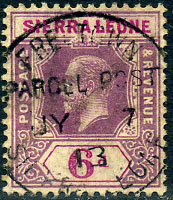 purple 2-line parcel canceller on pair KE7 4d (SG.265). 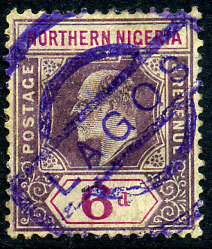 (PP3) purple parcel canceller on Northern Nigeria KE7 6d MCA wmk (SG.35a). 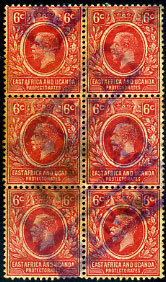 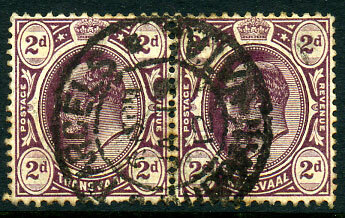 unrecorded purple ink parcel canceller with "2" at base on vertical bilingual pair Perf.14 x 13½ 1930 1/- Wildebeest (SG.36a, Cat.£90.00). 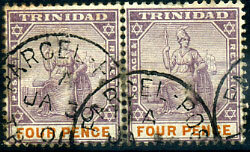 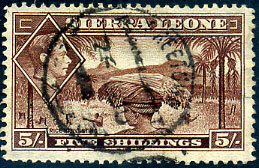 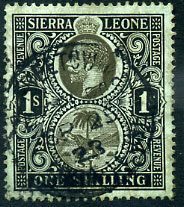 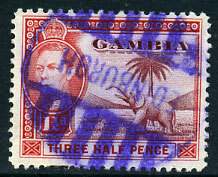 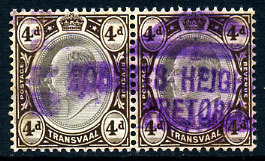 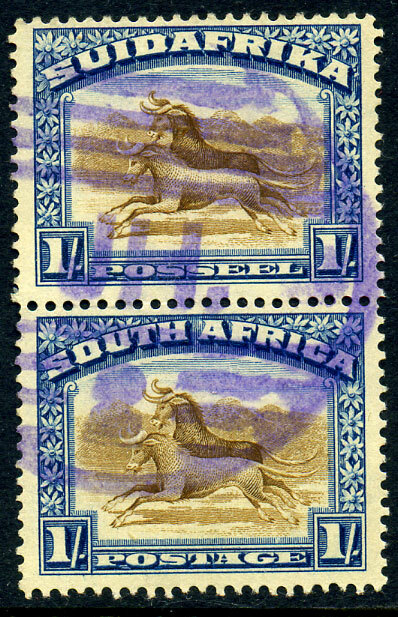 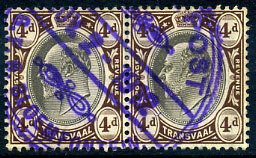 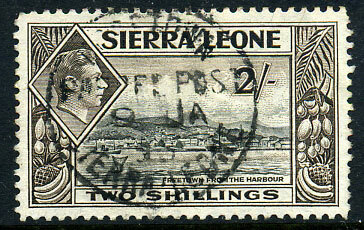 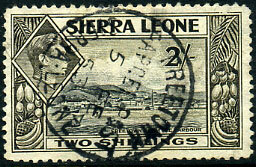 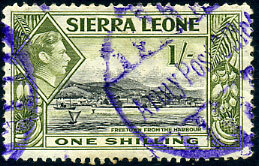 purple parcel canceller with "3" at base on bilingual pair 1939 1/- Wildebeest (SG.62), toned perfs. 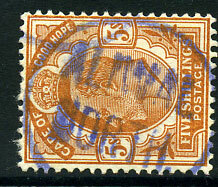 in blue on KE7 5/- (SG.78, Cat.£22.00). 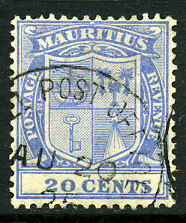 assumed interprovincial use in blue on Natal KE7 3d CA wmk (SG.132). 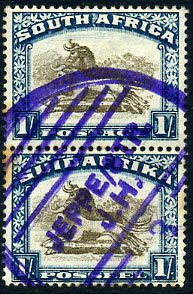 in blue on KE7 6d (SG.76). 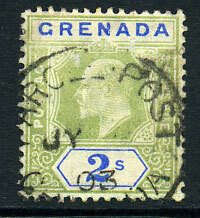 in blue on pair KE7 2d (SG.72), creased. 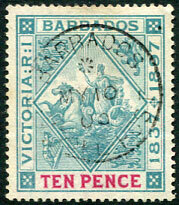 in blue on KE7 ½d (SG.70). 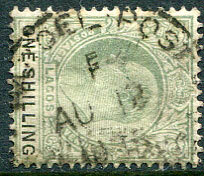 (035.44b) 9 JA 55 (LRD) on KG6 2/- (SG.197). 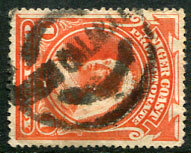 (PP4) C/SP 15 15 on 4d (SG.118). 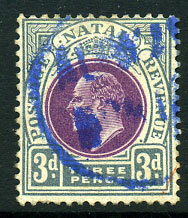 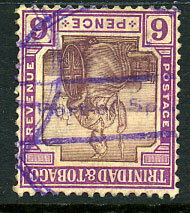 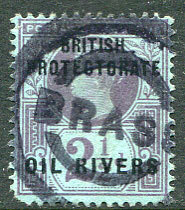 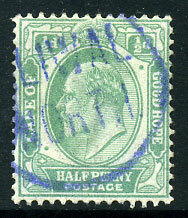 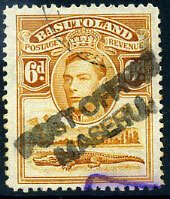 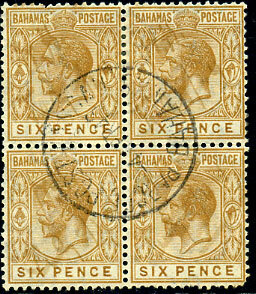 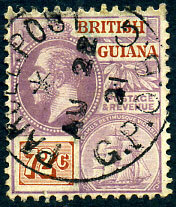 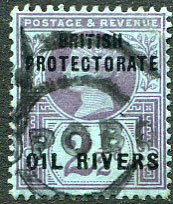 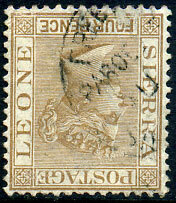 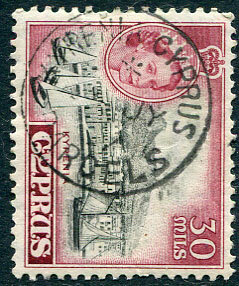 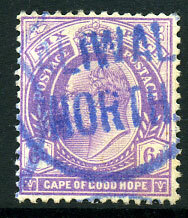 (PP9 used Parcel Post) in violet on 6d (SG.153).